I've stumbled into a deal on a Hypertherm 600 plasma cutter. A large service shop run by a friend of a friend (who shall remain nameless) has one that they've troubleshot down to the circuit board. There are some power diodes that have obviously had "the smoke let out"! My background is 25 years in electronics, so a minor circuit board problem doesn't particularly scare me. I am thinking there is a good chance that I can fix it. There are apparently third party contractors that will repair these boards (who he will put me in contact with), but I gather none of the plasma cutter manufacturers offer service manuals down to the circuit board level, probably for liability reasons. All they will do is swap the board. I can get this thing for next to nothing, cause by the time the shop hires somebody else to repair the circuit board, they can't get enough to be worth their time messing with it. I just got lucky and stumbled into a shop with a deep backlog of repair work who would rather clear it out than mess with it. Even if I had to buy a new board, I would still be money ahead, and if I hired a repair shop, I'm told that usually runs about half the cost of a new board. I might get lucky and be able to fix it myself. The torch has been tested on another unit and works perfectly everythinge else looks like new. 1) Anybody know anything about working on these? 2) Does anybody have a Hypertherm 600 that would be willing to look at their circuit board to read a component marking if I've got a smoked part that I can't read? 3) Does anyone have a connection that can get the circuit board documentation for one? I'm going to try the factory, but I've already been warned by my friend that he can't get them, so I'm assuming this is "secret knowledge" that they don't share. Nevertheless maybe somebody has it? With a little luck I might be cutting steel in a week or two. Well, I picked this unit up today. I have even managed to scrounge a schematic for it, but I don't have a parts list. If I have to replace components, I'll have to read the part numbers off of the parts themselves. Actually looks to be in real good condition, just a little dirty. Looking at the schematic, it looks like the it might be the bridge recitifier diodes that were charred. The good news there is replacing rectifiers is pretty trivial. Might have been connected to the wrong input voltage. At the same time, I picked up a Miller Thunderbolt AC/DC stick welder. Must be about ten years old, but looks brand new, almost unused. The shop tested it and said it worked perfectly. Sounds like you are doing great. I also picked up a miller thunderbolt AC/DC. It was maybe a little older than 10 years, but had never been used. Not a mark on stinger, cords still zip tied and manual in a bag. For $75 I could not believe no one else bid higher. It was a large public consignment sale. Unfortunatelty, setting took its toll and 2 of the maybe 4-5 little electic do-hickies went bad. A cheap fix, but something to keep in mind if it ever stops working. Long posting, but some updates that might be interesting to some folks. 1) The board is very nicely done, but no fine pitch or unidentifiable parts that I've noticed so far. Looks like very high quality design from what I can see so far. 2) Everything is "through-hole" parts the ICs are all dips or large IGBT modules. 3) Scrutinizing it very closely with a bright light and magnifier, I could see four parts that look like they "might" have gotten too hot. Nothing is obviously scorched or charred. I like to order anything that looks suspect first and have it on hand when I begin working on the board. Usually a few dollars worth of parts not needed is worth the investment. I will often replace anything that looks even slightly suspect. If something is fried, other things could be degraded even if not completely failed. 4) Two of these parts were a pair of special MOS zeners. They looked kiind of grey and had a coating on them that could have been from overheating. 1N6303A, On Semiconductors, readily available. 5) One PWM controller UC3844A by ST, again a slightly greasy grey coating. Also readily available from stock. 6) A large Fuji discrete IGBT transistor. 1MB12-140 looks like it may have gotten hot enough to begin to vaporize the silicone heat sink grease it was mounted with. I've seen this before with power discretes. Makes a greasy grey smear all around the part and it's heatsink, which is what this looked like. This is a bit of an oddball part, no routine US distribution, the only available datasheet is half in Kanji characters with a bit of english sprinkled in for fun . VERY expensive to buy from FUJI, $33 each and $100 minimum, as in "THEY REALLY DON'T WANT TO BE BOTHERED! Any more expensive and I'd expect to get a cargo container full! One thing that makes this IGBT a little bit special is that it is rated for 1400 Vce, most IGBT families top out at 600 to 1200 volts. A 1200 volt part might actually be adequate, but I found a Fairchild part that is good for a bit more Ic, a bit more Vge voltage, and up to 1500 Vce, FGL40N150D. I am kind of figuring that in a plasma cutter, more is probably better. I'm sure transients can easily kill these circuits. Looking at it another way, this part is rated for the same values as the FUJI part at much higher temperature. These are routinely available in distribution for about $3, big difference! The parts are very similar and the Fairchild part should be a bit more robust, unless the Hypertherm circuit is designed very tightly to the FUJI part's performance. A little bit of gamble swapping it, but $100 is just kind of tough to stomache. Oh, actually I think the Fairchild part used to be a Samsung part, but Fairchild bought a bunch of discrete part families from Samsung a few years ago. 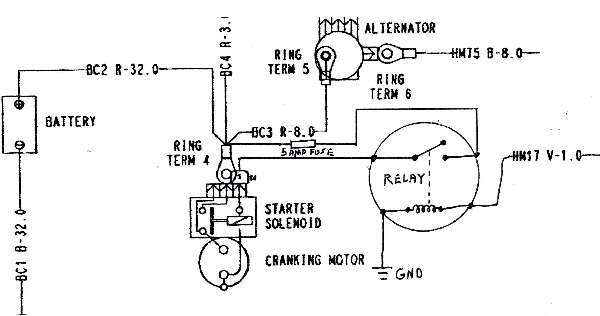 I will wait to get the service manual and hopefully study the circuit very closely to see if there could be any very tight feedback or something that might be upset by a different part, but I suspect it is just a simple switch and will work fine. 7) I can't see any resistors or caps that look scorched at all. 8) My hunch? Like another posting, I am guessing that someone either hooked it up to the wrong line voltage, or did something to overload the output. They might have just run it way past its duty-cycle limits, but there is a thermal cutout mounted to the heatsink, so I think it would have protected itself from that. Good news is that nobody has ham-fisted the circuit board and lifted pads or traces or otherwise butchered anything. It looks like new inside. I may try to call their service department tomorrow and see if I can get someone who will talk about it with me, but I don't hold much hope for a circuit discussion with an engineer. I did call Hypertherm today and managed to talk them into sending me a service manual. She even asked for the serial number of my unit, so I am hoping this means that the documentation will be an accurate depiction of my unit. The schematic that I got from my friend at the service shop was kind of funny. Almost an "approximate" circuit diagram. I don't know if it is for an earlier model, or if they just intentionally obscure a lot of circuit details(? ), but it clearly had about 1/4 as many parts in the diagram as my board, and what was there didn't match up very well with my circuit board. I am hoping that the documentation they are sending will be more accurate. I've got all the parts listed above coming in a little over a week. I have pretty good connections with several industrial distributors having worked as an FAE in that industry for many years, so getting parts is not usually a problem. If you are any electronic designer getting to be friends with some FAEs at the big distributors can be worth its weight in gold. Digikey is nice, but they don't carry near everything. I also went out this week and got some air fittings to upgrade my compressor with a good Cambell Hausfeld 5 micron air filter / vapor separator, and a desica gel air dryer cartridge. I decided to put a TEE on the output of my compressor with a separate quick disconnect and a 3' hose straight from the filter to the Plasma cutter, and the other long hose that bypasses the filter. That way I don't have to bother to use the air filter when I just want to fill tires and things, but I can use it for spray painting and other things that would like clean air. The 3' hose will help just a tiny bit to keep the flow rate up. My compressor is an 11cfm unit so it should be more than adquate. I also have some work to do on the electrical outlets, converting to the 230V 50A socket that my welder and cutter are set up for. I have a circuit the previous owner ran specifically for a welder in my workshop, but the socket doesn't match. I'll also need to add a 20A 120V circuit there for my compressor. It doesn't like to run on a long extension cord. Never been so excited to get cutting steel!!! Well, I finally got the electrical work done in my workshop to test the plasma cutter. The previous owner had a 50A 240Vac outlet, but it was a different receptacle than my welder and plasma cutter required, so I needed to redo it, and while I was at it, I decided to add a local disconnect and decided to wire up both the old receptacle and the new one to be more flexible. I also needed a 20A 120VAC circuit to run my compressor next to the plasma cutter since it won't run with the voltage-drop of an extension cord. I ran 10AWG three wire with ground from a 20A 240VAC breaker, but hooked it up as two phases of 20A 120VAC to give me lots of power tool capacity with very little voltage drop. I already had the 10AWG wire on hand. So..., air filter plumbed, compressor charged up, 50A 240VAC wired up, and Hypertherm service manual in hand, I decided to sit down and go through the diagnostics in the service manual. I checked all the resistance checks and didn't find anything amiss, so I switched on the Hypertherm's three pole breaker, and the fan started spinning up, the top LED for input power came on, and then "CLICK" the breaker snapped back off with the "Low Line Voltage" LED lit yellow momentarily, and a moment later, the fan shut off. I did that enough more times to get through the voltage checks and could see that it was firing up looking good for a brief moment, but something was shutting it off??? Looking at their troubleshooting guide for that symptom didn't quite help, it didn't list that exact combination of symptoms. It did mention the circuit breaker snapping off as soon as you switch it on, but not with the Low Voltage LED lit. It suggested the cause could be Over Voltage, or shorted components. But in the brief instant when it was first coming on, I could briefly measure roughly the correct voltages everywhere I should, so it didn't really act like a dead short, and I knew the 240VAC was dead on, and besides, the "Under Voltage" light was lit? I said to myself, "The system acts like a safety circuit is shutting it down, I know it is not connected to the wrong voltage, what can it hurt to disconnect the overvoltage trip? The three phase units don't bother with an over-voltage safety circuit, and I don't have any higher voltage to connect it to anyway. What could it hurt to discnnect that jumper?" I pulled J5, clicked on the breaker, the fan came on, the power LED came on, and ... NO CLICK! The "OK" LED came on with no error LEDs! Eureka! I put on my welding mask, grabbed the torch and held it up to my test piece and IT CUT LIKE A HOT KNIFE THROUGH BUTTER, WITH SPARKS FLYING!!! I realized later that I had been cutting at the lowest power setting 20A. Did a couple more cuts and took the picture in the previous posting with the camera on self timer. The first time I tried, I had finished cutting before the self timer went off. I had to trip the shutter and wait till it started beeping fast to begin the cut! Tomorrow I'll call the Hypertherm Service Department and see if they won't help me replace whatever is wrong. It should be pretty simple to find now that I've got this much figured out. Something obviously wrong with their overvoltage detect circuit. Frankly, if they won't help me with it, I'll just used it with this circuit disabled and not worry about it, but I have a hunch they'll help me get it fixed correctly. I now have a 40A Plasma Cutter!!! Later: Retested all voltage checks, now that they will stay on, and everything is perfect. The factory had me check a couple more things tonight which were all fine. Will call again tomorrow to see if they want to help me fix the over-voltage circuit or just let me run without it. Either way, I'm a happy camper. Cut an old 5/8" J-Bolt in a couple seconds at 40A. Just like a razor blade through paper. be prepared now for every TP subscriber that resides in Oregan to knock on your door with something to be cut..... .
Tomr, this is great! Don't you just love it when a plan comes together. Well why don't you see if you can scare up a few more like that, I'm sure a few people here would like one. My local thermal dynamics dealer was giving $10 per amp trade in for any plasma machine traded for a new one, working or not. Of course I asked about the trades. No dice, Thermal wants them out of the market and they must get returned to them and scrapped. They just have no sympathy for folks who can't justify a new one for their hobby shop. "Wants them out of the market ... and scrapped"
Boy that is a real shame isn't it! I can understand from purely a business case, but my goodness, just think of all that wonderful hardware getting scrapped. A lot of companies do that and I've never been able to get used to the idea. Have you ever seen the home depot power tool trade in. I looked through some of the trade ins at the local store and most was junk but not all. Some were Milwaukee and other good brands with nothing wrong with them. Milwaukee recently had a lifetime warranty on power tools although is seems they recently changed to only a 5 year, why throw them away. Thats like throwing away a craftsman ratchet. They would't let me buy them either. What a waste.